Al Falah University consistently strives to enhance the skills of its members by providing venues to improve their soft skills. A similar effort was done in collaboration of Department of General Education and Professional Development Office on Monday, March 26, 2018. Ms. Aysha Ehsan offered a workshop to the administrative staff of AFU whereby tips were offered to practice exceptional communication in formal environment. Enlightened debate and smart ideas were shared and the administrative staff enjoyed involvement in activities of group competitions and some superb creative writing. Al Falah University will continue to enrich its professional stature and take further developmental measures in pursuance of its vision to distinguish itself as one of the premier universities in both the UAE and the GCC. 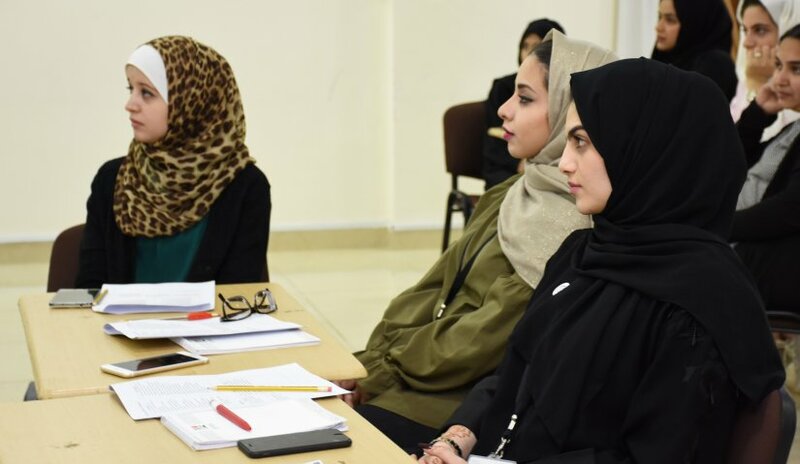 Al Falah University Students Participate In a Workshop on "Innovation Day"